The Academy Color Encoding System is a high-end image control tool that’s available to filmmakers working at every level. Black Panther, Guardians of the Galaxy 2, Thor: Ragnarok… the list of Hollywood blockbusters that have used ACES — the Academy Color Encoding System — is legion. What’s less known is the number of much smaller-budget feature films, commercials, TV shows and even corporate video that’s being made with the ACES pipeline. First, another look at what ACES is — and isn’t. ACES is ideal for a production that uses a variety of cameras and formats, or for any production that involves global collaboration in which assets are shared via digital image files. But ACES isn’t simply for use with these more complicated productions. In fact, say these cinematographers, ACES, which is free to use, saves money and time in post, especially in creating the massive number of deliverables. “ACES can spit them all out from the same master file,” says Shulkind. A basic breakdown of an ACES workflow. ACES lingo includes the terms IDT (input device transform) and ODT (output device transform). Put simply, the IDT translates the camera- or scanner-specific image data format into ACES. Camera and scanner manufacturers provide these input transforms, since they are most knowledgeable about how their product works. IDTs are used by on-set preview systems, visual effects software and color correction systems. The ODT is a color transform that converts the ACES image to code values that allows it to be viewed on display devices, and is designed for to utilize the dynamic range, color gamut and other parameters of each display device. Boyle recently finished work on his first end-to-end ACES workflow, for Attack of the Adult Babies, made for just $250,000. “I followed exactly the process [described above],” he says. “The post was finished in Quantel’s Rio, all working in ACES, all looking the way they were meant to look, without interference.” The movie premiered on the IMAX screen at the Empire Leicester Square. Boyle has also been working on the Academy project to run the 1999 movie The Troop — directed by Marcus Dillistone and shot by Alex Thomson, BSC — through an ACES pipeline for archival purposes. Shulkind sets up while shooting The Vault with a Canon C300 Mk II. Shulkind first used ACES for an entire feature film in 2017 on The Vault, which had a $5 million budget. “We were shooting in Atlanta, and working with a local post house, Moonshine Post-Production,” says Shulkind. The facility hadn’t yet handled an ACES project, so, to dispel confusion and get them on board, Shulkind connected them with Scott Dyer, an imaging engineer at the AMPAS Technology Council, who walked them through the ACES workflow. Shulkind also points out that, in the best-case scenario, the production uses ACES from image capture to deliverables — but it’s not required. 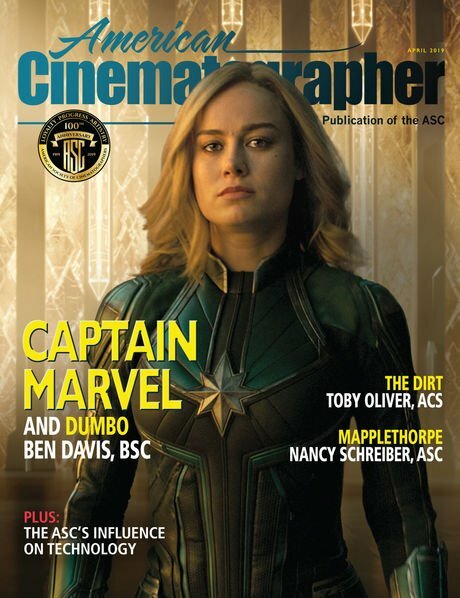 “On set, the DIT uses an input transform, and then there’s the output transforms, so when you get into editorial, they’re looking at the material with the proper transforms,” he says. “But even if you don’t use ACES on set, you still have the IDT from the camera you used, and can pick up ACES in editorial or post — anywhere in the process.” He says he has picked up ACES in post on the occasion when the production was too rushed to implement it, or the DIT wasn’t familiar with ACES. In Dubai, Steve Shaw, ASC (center) sets up shooting a color chart with students using a Canon C300 while teaching cinematography and the ACES workflow in 2016. “I did this to demonstrate to the group how I would shoot charts for the lab while shooting film,” and how communication with all collaborators in the post pipeline is key to achieving a desired look. Shaw with event organizer Mohammad Salim (on left) and his assistant. Salim wanted to make a short movie that they could later submit to the Dubai International Film Festival. “I explained that it could take three weeks to time a movie, but with ACES, it would take just three days,” Shaw reports. Unfortunately, the Dubai group wasn’t able to do an ACES workflow — they didn’t have a DIT, a sufficiently good monitor, or a post house — but Shaw planted a seed. “That first year was like an exploratory expedition to the North Pole,” he jokes. In the fall of 2017, Salim asked Shaw to return to Dubai for a second effort. 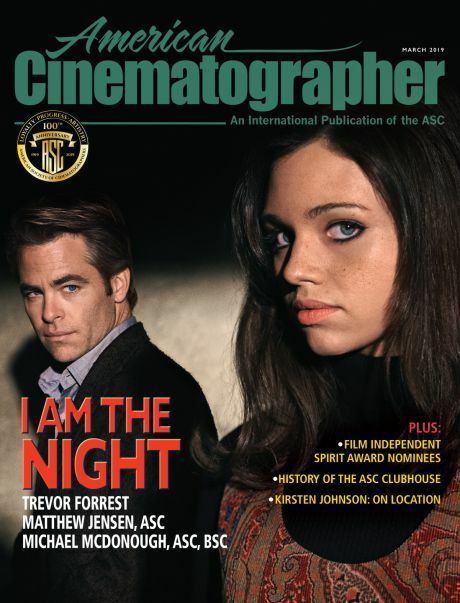 The cinematographer agreed, as long as he could bring a small team of experts: “I asked Mole-Richardson founder Larry Parker, Theo and JZ, who is a color scientist and vice chair of the Academy’s ACES Project.” Zell is also an associate member of the ASC. Shaw begins a presentation during the 2017 Dubai session. “Our intent was to give the students the tools they needed to hopefully make their own short films that they could send us,” he says. A student, Theo van de Sande, ASC, Shaw and Joachim “JZ” Zell celebrate. In October 2017, sponsored by the Dubai International Film Festival, The Dubai Film and TV Commission and industry companies, the group held a five-day workshop on the stages of the Dubai production company Behind the Scenes. Shaw also brought along footage shot with three different cameras for his demonstrations. “We chose to work in ACES to demo how we could easily combine the footage from a Canon, a Red and a Panasonic VariCam used for this event,” explains Zell, who walked the workshop attendees throughout the technical aspects of the ACES workflow. At top, Shaw, van de Sande and Zell flank two student who participated as actors for one scene. 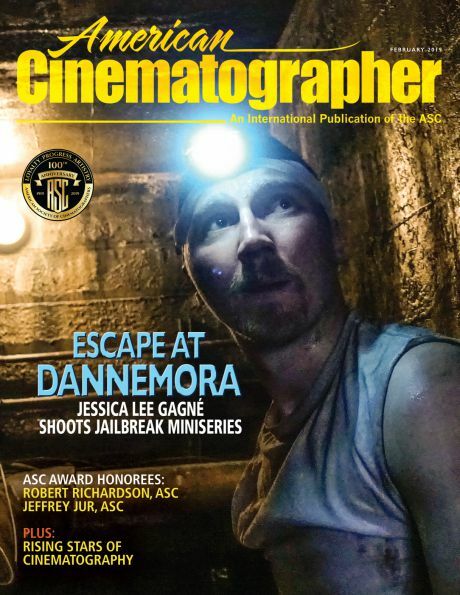 “It was great, a simple two-person scene that we adapted from another teaching session we had done in Mexicali, Mexico — and Theo was my operator for this, which was fantastic as well,” says Shaw. “I also took some background plates that were shot on Ventura Blvd. [in Los Angeles] — a day exterior traveling shot and a night exterior traveling shot, borrowed from Don McCuaig, ASC and photographed on a Blackmagic URSA 4.6,” says Shaw. “We used that footage in the workshop for a greenscreen test and used ACES with the color timing to match our on-stage element — a bicyclist — with those backgrounds.” Zell reports that, on set, they worked with Rec 709 monitors and then, in the theater, they color corrected the content with a 4K P3 Digital Cinema Projector. Van de Sande (in background on right) coordinates a setup using a bicyclist shot against greenscreen (out of frame on left) for a compositing/ACES color timing demo. The committee is still in its early work to continue the improvements to the ACES workflow, but anyone interested in ACES can get more information — and involved — at ACESCentral.com.